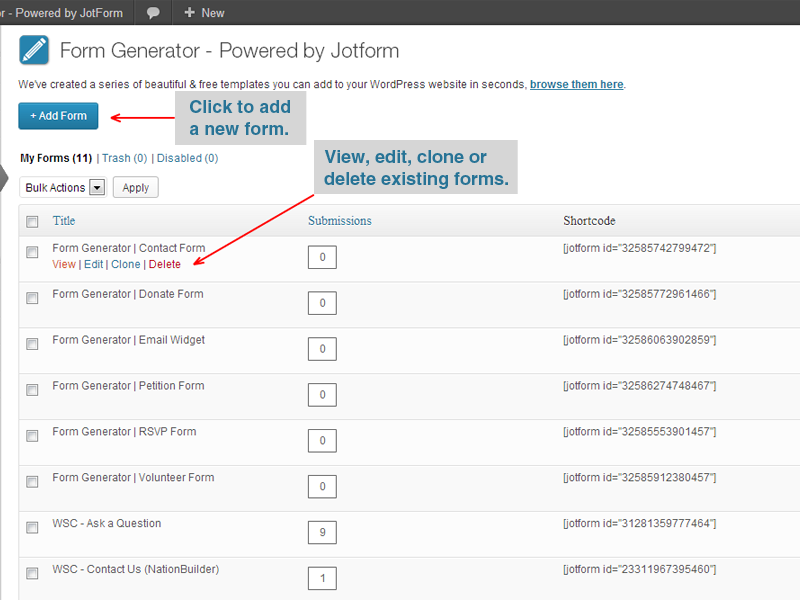 Form Generator for WordPress seamlessly delivers JotForm to your website. 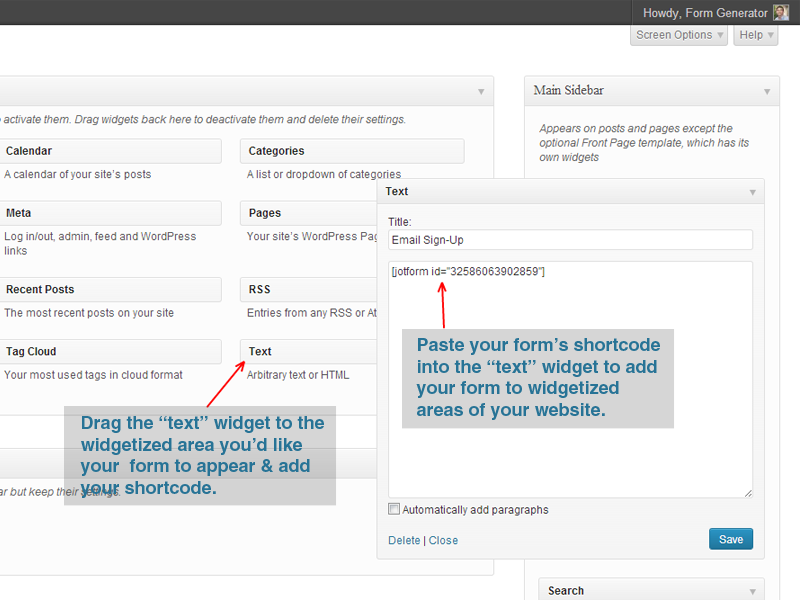 No more jumping back and forth between websites to edit forms, view submissions, and copy code! Download form submissions to Excel. For Form Generator users, I’ve created a series of beautiful template contact forms, RSVP forms, volunteer forms, donate forms with payment processing & more! 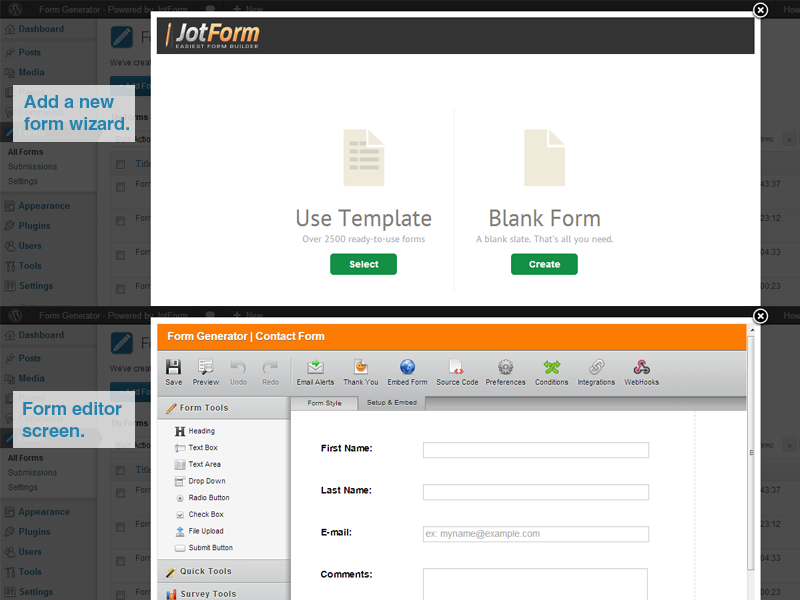 These forms add to the over 2500 templates already available from JotForm which you can add to your website in seconds. 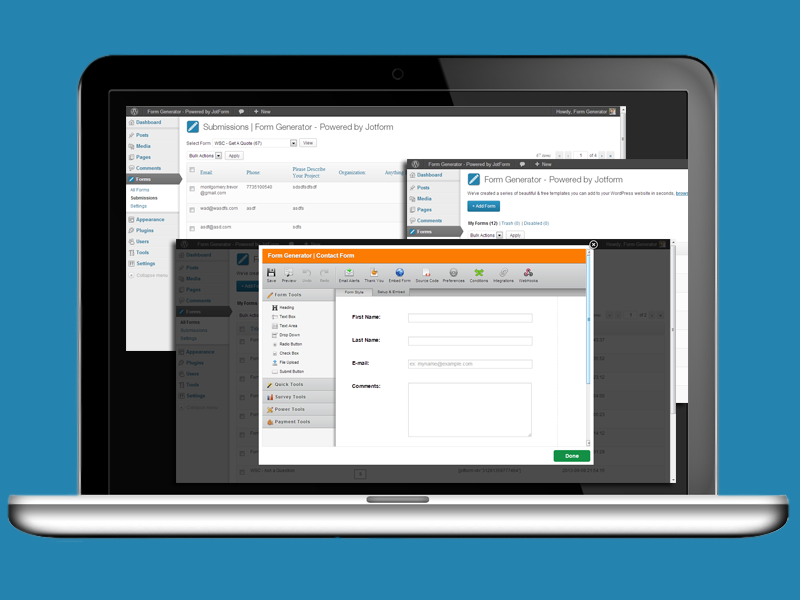 JotForm started as the web’s first WYSIWYG form editor and now it’s used by over 1,000,000 satisfied customers. 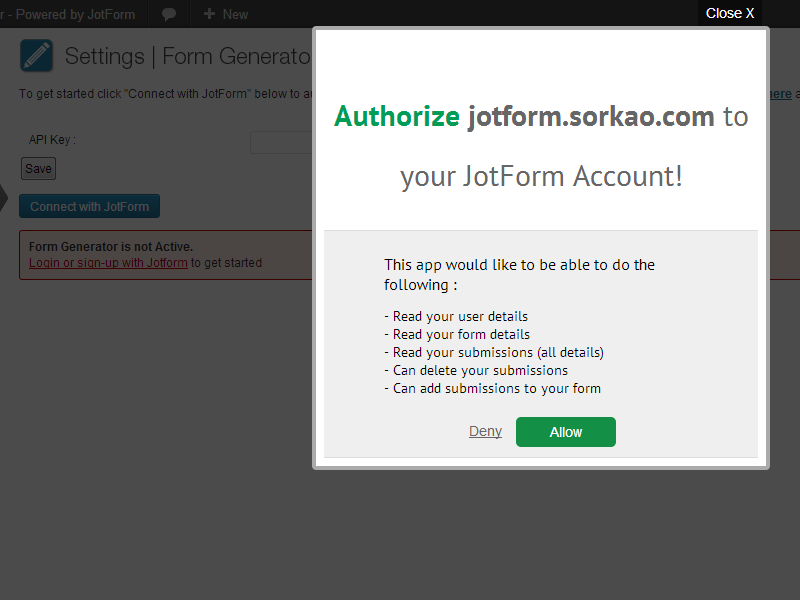 The reason so many people are using JotForm is because it’s flexible, dynamic, and easy to use. Not only is JotForm completely customizable but it can be integrated with many of the most popular tools on the web today. 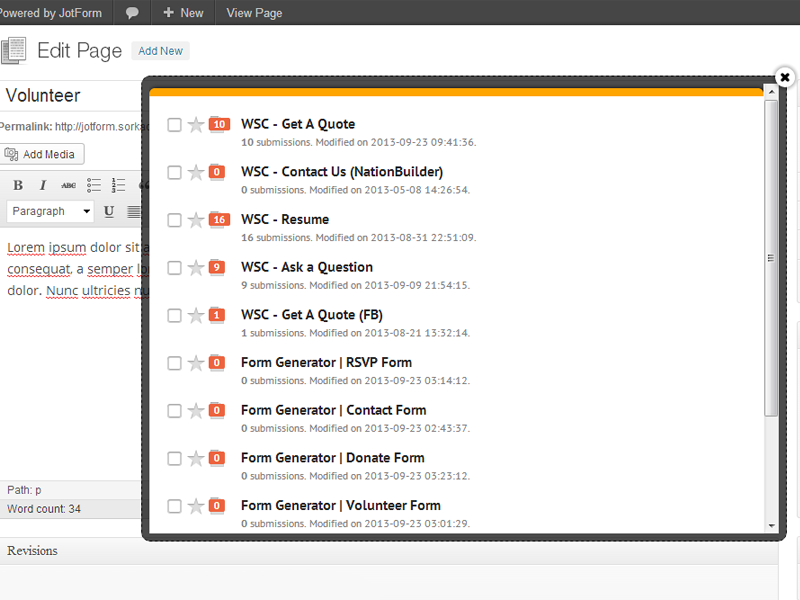 Feed your email sign up forms directly into your Constant Contact, AWeber, iContact, or MailChimp account. Get submissions and files sent directly to your Dropbox, Google Drive, Google Speadsheets, or Box accounts. Integrate with CRM’s like Salesforce and Zoho. 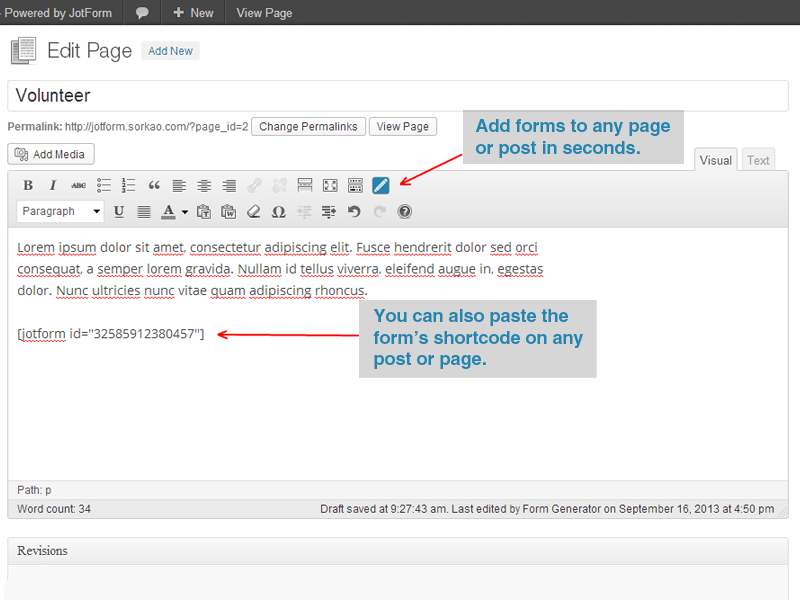 You can even embed your forms on Facebook. What else? 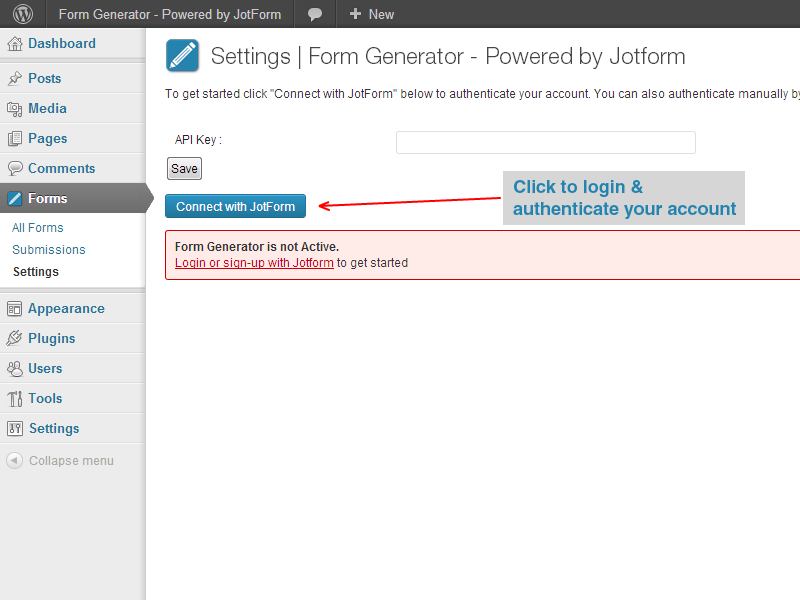 JotForm allows you to accept payments using popular processors like PayPal, PayPal Pro, Stripe, Authorize.net, Google Checkout, Click Bank, World Pay, and others. So why JotForm? Because it’s amazing!! Try it out and I know you’ll think so too. your WordPress editor. It’s free, get started now. 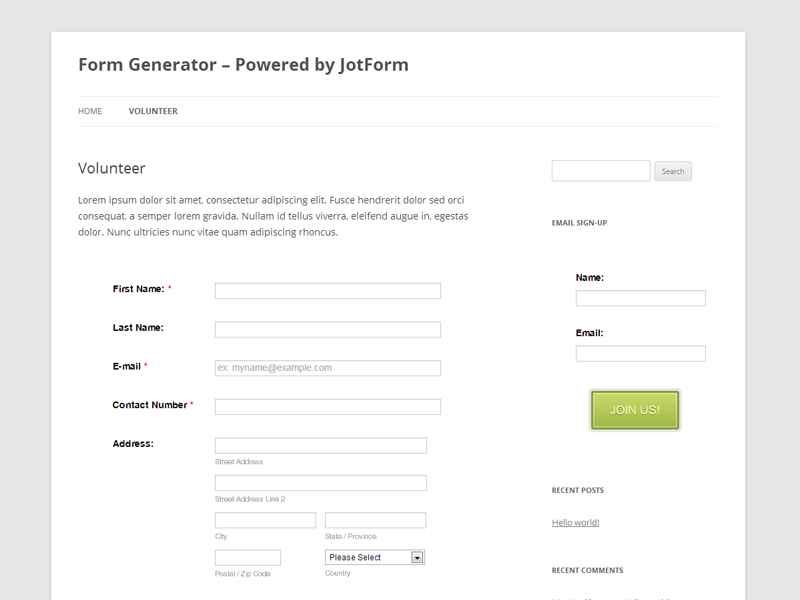 Download the plugin file “form-generator-powered-by-jotform.1.3.3.zip“. 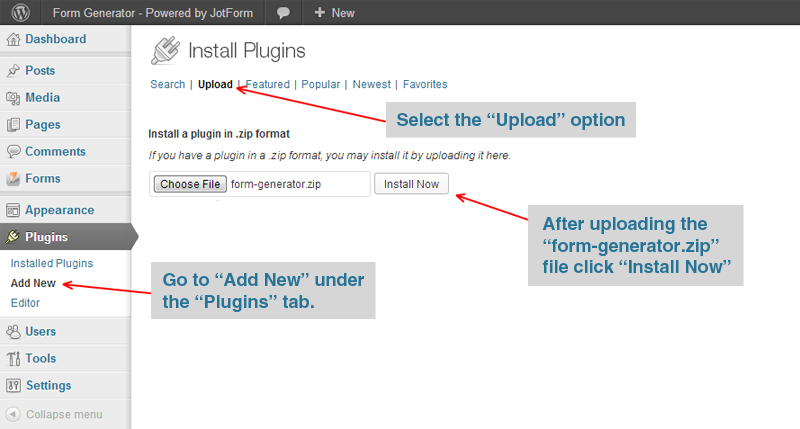 Go to “Add New” under the “Plugins” tab in your WordPress dashboard. Select the “Upload” option (top menu between “Search” & “Featured”). 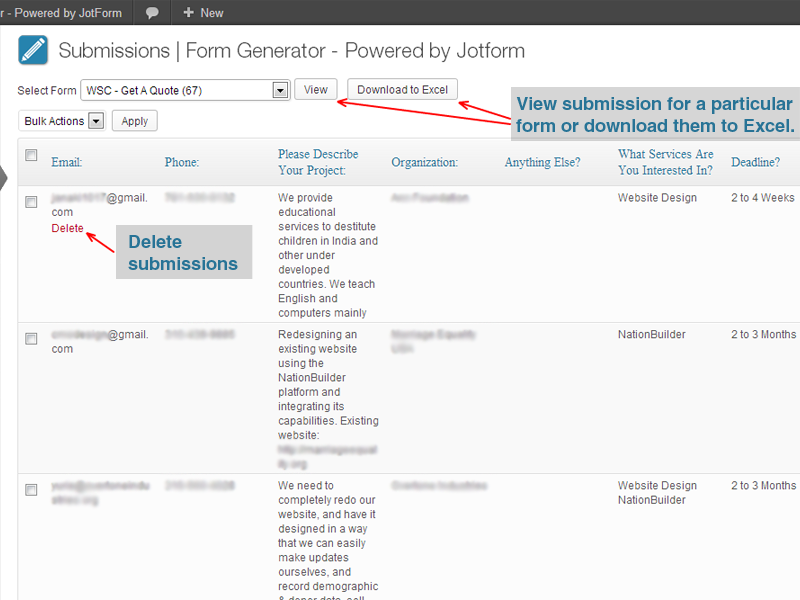 Upload the “form-generator-powered-by-jotform.1.3.3.zip” file and click “Install Now”. Finally, click the “Activate” link and start enjoying the plugin.